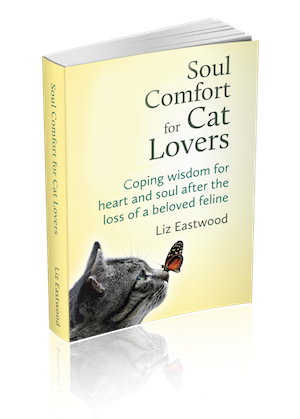 When we had that terrible shock–finding out my soul cat had cancer—we had so little time to make decisions, but I couldn’t find one doctor with all the information I wanted. I’m not sure what it’s like where you live, but here vets are extremely time-taxed. Especially the holistic ones. Holistic veterinary expertise is still rare, but some of the experienced ones are now available by phone. This can be very helpful if your local vet doesn’t have all the time and expertise you need. Special request: If you consult with any of these doctors, will you kindly share your feedback about them in the Comments? That could help readers a lot. Some of these vets may expect you to have a local vet and an official diagnosis in order for them to be able to help your cat. However, you may be able to have more general, informational conversations with them in some cases. If you need a prescription, they may require you to work with a local vet. Clients gave given him positive reviews in the comments section here. When I checked, he had an A+ rating from the Better Business Bureau here. He’s published a helpful holistic cancer treatment resource list. He does many phone consults. While an initial in-depth consult is not cheap, follow-ups are very reasonable. It looks to me like he may do shorter, less-expensive phone consults for some types of cases. Here’s his service Consultation FAQ . Dr. Michelle Yasson was featured on CBS news in 2011—you can watch the clip here. Her description of her work on her website has an enthusiastic, warm tone. She has special knowledge of a promising new natural tumor treatment called Neoplasene. Dr. Becker runs the Natural Pet Animal Hospital in Illinois. She has been practicing integrative animal medicine for many years. I recently discovered her on Twitter and the MercolaHealthyPets.com, and I’ve been very impressed with her holistic knowledge and advice. Phone consultations are “designed to provide clients with an integrative opinion about their pet’s health, nutrition and well-being.” She can talk to you about existing tests and diagnosis or just answer general questions, but both must be faxed ahead of time. Cost: $5 per minute. Dr. Goldstein is in great demand because he’s the author of the wonderful holistic book The Nature of Animal Healing, and has an impressive track record. When I called Smith Ridge there was a 2-3 month wait for an appointment with Dr. Goldstein. I was, however, able to get a faster appointment with another nice, knowledgeable vet at Smith Ridge. I can’t recall the exact rates, but I found it pretty expensive, as you might expect from a famous clinic. We were dealing with a high-grade, fast-moving lymphoma and had already had some chemotherapy, so in retrospect I realize that Smith Ridge could not have worked miracles in our unique situation. However, it gave me more peace of mind to get the Smith Ridge view of the best holistic approaches available at the time, so I’m glad I did it. I was hoping this vet would advise my local vet on exactly what chemotherapy protocols to use (if any) and which holistic treatments we should use in conjunction with chemo. He was not able to provide something so specific. What he did provide instead was a long list—with dosages–of the best alternative supplements he could recommend in our situation. He could not give advice related to chemotherapy protocols at all. One advantage of Smith Ridge is they’ve been working with remote clients for years and have a good system down for it. More Smith Ridge phone consult information here. I want you to know about one more phone resource even though it isn’t holistic. This is pretty cool because it comes from one of the best feline health centers in the country and is subsidized to be affordable. Phone consults are $55, except for oncology consults, which are $75. I have used this service. It’s real. Remember—this center is not alternative at all, but they are good for getting the full picture of latest conventional treatments & outcomes. The Feline Consultation Service website is here. P.S. If there are any other good holistic vets available by phone, please contact me so I can see about adding them here. P.P.S. If you use any of the providers above, will you come back and share your feedback in the Comments? That will help a lot. Thank you! I have 3 year old Pem. Welsh Corgi who was diagnosed with T-cell lymphoma in his esophagus last September. After spending about $10,000 on diagnostics and 3 rounds of chemo, which my dog could not tolerate, a friend sent me the article by Dr. Khalsa in Dogs Naturally Magazine. I contacted her, and she explained the treatment. My oncologist was very supportive of the treatment and gave the injections each day-2 of the Human Ultracell the first two days,and 12 daily shots of the Formula 9. The dog was never sore at all from the injections. Compared to the huge amount of money I had already spent, I thought the cost of the treatment was very reasonable, and it has no side effects. The chemo made my dog so sick I was ready to euthanize him. After the treatment, my dog had another endoscopy and 9 biopsies. All came back with no evidence of cancer. He is currently doing well, and we are hopeful that he stays that way for a long time. I used Deva Khalsa to treat my dog with Lymphoma. I agreed to try a stem cell (human) and thymus targeting treatment. Unfortunately, it was not successful. Khalsa was up front that it was still somewhat experimental and that it had been working for her ‘about 50% of the time’. The IM shot was $1000 and I decided it was worth a try. I was somewhat surprised that the cost of the treatment kept going up. The consult was more than expected, the 2nd consult was a bit superfluous and she kept saying we needed ‘one more dosing’ of the thymus targeting treatment ($500 each). SO – if you want to roll the dice, do it. Just be prepared to keep throwing money her way. Also be aware that it requires daily IM shots, which in our case made our girl pretty sore in the back. Thank you for this listing. I live in a community that doesn’t have a holistic vet and my dog has been diagnosed with a mast cell tumor. Your list is very helpful! Contacted Dr. Michelle Yasson today. She does not give free 15 min Q & A anymore. Her charges for 15min Q&A are $59 and 30min $89. A full comprehensive appt. is $299. Nutrition consult is $199. They are open m-th 10-2 eastern time. About six years ago my cat and I were sent into a different rental room where I lived so that construction could get done in my room. Little did I know the new room was infested. I just found out this year, 2013, through testing for myself, that I have anti bodies for ehrichlia, which is a coinfection of Lyme. My symptoms were terrible. I am afraid my cat may have been infected as well, but I can not get a vet to test her for lyme, as many vets say cats do not usually get lyme. My cats medical tests came out o.k., but so didn’t mine until I went to a speacialist. My cat drinks a lot more water and is not very active. Not sure what to do next but I can not spend too much, it cost me $200.00 for the cats wellness test and I am spending a lot of money out of pocket for my own health. I’m never going to get better if I can’t get her treated, do you have any advise that would not be too expensive for me, I would appreciate your feed back. Just wanted to give a shout out for Dr. Loops. 🙂 I used him with 3 of my animals. 2 Great Danes who were diagnosed with Osteosarcoma…one in 2001 and the other in 2003. I also used his consult services with my last cat who was diagnosed with lymphoma when she was 14. I used mainly holistic medicine & pain management with my danes…and western medicine (oral chemo & pred) plus holistic medicine with my cat. Sophie (my cat) lived 4 years after diagnosis. Dr. Loops was always extremely helpful and had excellent customer service. His staff were always extremely helpful and kind as well. I would definitely recommend him!! What kind of lymphoma did your cat have and what treatments did you use? Any detailed info will help me greatly in gathering options. I wish I knew about this site when I was going through the tramatic experience/illness of my beloved cat soulmate a year ago. Thank you for having this website! Today is the one year anniversary of his passing. The links for Becker and Yassom do not seem to be working. Ah, good catch Gin. My broken link detection systems seems to be broken! I have updated those links now. In conjunction with my local holistic vet, I’ve been working remotely with Dr. Deva Khalsa http://www.doctordeva.com/ , who suggested Double Helix Water and rice-based PSP (hard to find without cinnamon or cat-toxic additions). We’re also using the homeopathic remedy Phyto, first suggested by Irene de Villiers, moderator of CATWELL Yahoo group. Kathryn, thank you for mentioning Dr. Khalsa as I had not heard of her services yet.